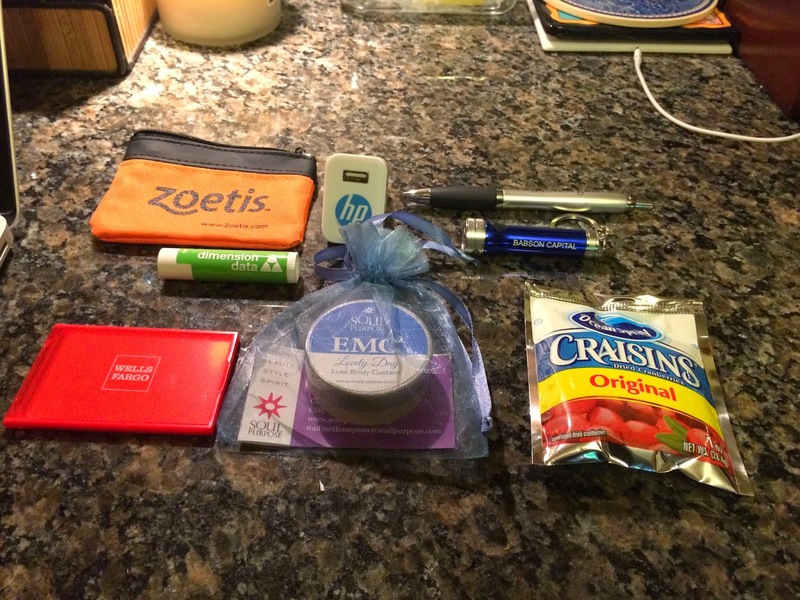 I have always wanted to write about conference swag. I have been to many conferences: legal conferences, technology conferences, academic conferences. And of course women's conferences. The two women's conferences that I have been to the most are the Massachusetts Conference for Women, and the Simmons Leadership Conference. These are two very different conferences in terms of content, mission, and execution. The Mass Conference for Women is usually a nice time, some good cookies, and a few light, feel-good keynotes and total fluff breakouts. Well, that's not entirely fair. The first year I went they did have Gloria Steinem, who was more substantial. 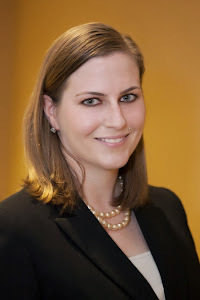 The Simmons Leadership Conference (which is no longer called the Simmons Women's Leadership Conference for a reason) brings in big names for keynotes (think Hillary Clinton, Sallie Krawcheck, and Diane Keaton). Anyway, I am always irritated with the difference in swag between a women's conference and any other kind of conference. At INTA, I've gotten high quality pens and card cases. (Quick tip for conferences: carry a second card case to keep the cards you get from other people.) At tech conferences, I've gotten flash drives and USB hubs. These are all useful things. At a women's conference? Nail files, fold up mirrors, and nail polish. That last one came from Raytheon. Yes, the company that makes weapons for the US military appeals to women by giving them nail polish in Raytheon Red. Points to Novartis and BNY for realizing that I am always getting finger oils on my iPhone screen. I have tons of these and use them plenty. They also work well on glasses. The EMC luggage tag is very useful, I have several of these now, in different colors and they are easily spotted on your luggage as it moves around the carousel. 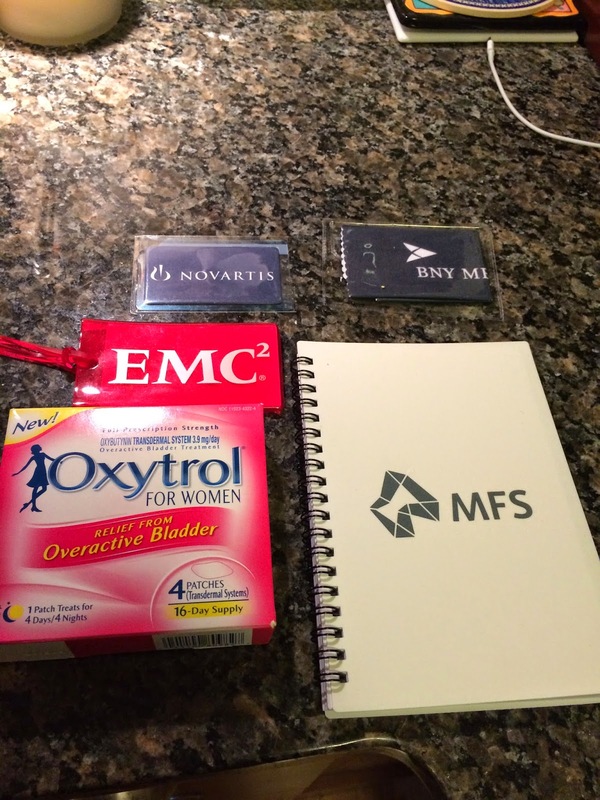 MFS went with the old standby, and several attendees were taking notes on their mini book throughout the conference. Merck--well, I'm not sure. In some ways, this is really neat, giving you an actual medical product. However, it's not one that most women would need, and I deduct major points for it being in a super-girly pink package. Zoetis gives you something mostly useful, but fails to tell me what their company does. I did see their exhibitor booth, and I think it has something to do with animals, since they had a line of dog figurines on display. HP is spot on with a car charger for your phone, everyone needs that. Good on JP Morgan, that's a really good pen that won't fall apart and leak in your pocket or purse. Babson Capital also provides something useful, a flashlight that would be handy to keep on your keys or in your dashboard for an emergency. Craisins fall into the good pile, because most people need a snack at an all day conference. But then there's Wells Fargo and EMC. The Wells Fargo mirror is super flimsy. I have some fold up mirrors, one at work and one in my purse, but they came as giveaways from Clinique or Lancome, and those mirrors hold up. This one has a hinge that's dying to break, and a mirror that is loose from its frame. EMC--and yes I work for them!--is the biggest disappointment. Luxe. Body. Custard. Last year, they gave just plain body custard. This year we get Luxe! This is stupid. 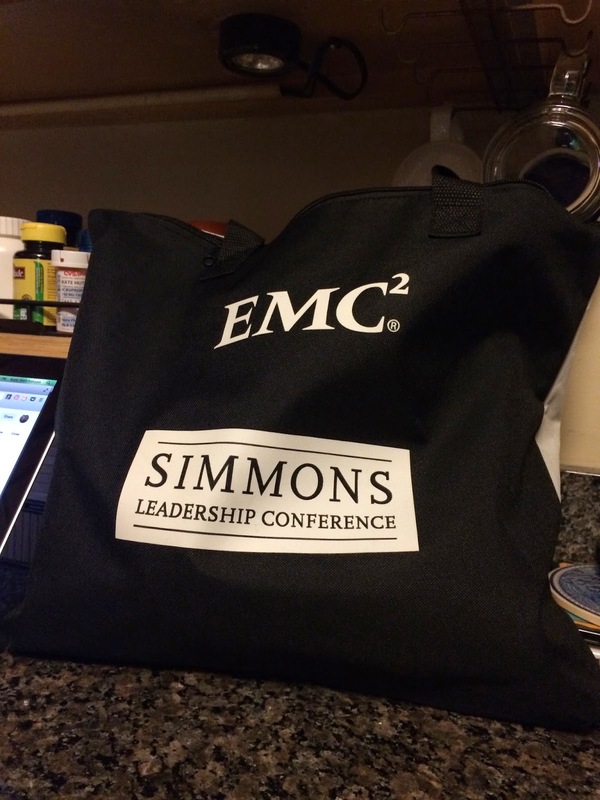 EMC is capable of much better swag, I've seen it all over EMC World--travel mugs, USB hubs, phone cases, t-shirts. At EMC World, no one gives out body custard. This irritates me the most of all the swag because not only is it cutesy and girly, it's in a pretty little chiffon bag! Like most people, I'm really picky about what skin care lotions I'll put on. So this isn't just sexist, it's useless. I am not going to use this. Ever. In fact, I sent last year's body custard to a coworker for a prank. He had no idea what it was. This isn't something you would ever think to put out at a conference with men. So, overall, this was a good haul, especially for a women's conference. But seriously, if you are ordering swag for a conference (or any giveaway), or know someone who does, please tell them to think about it harder. Don't go for gendered products. I'm going to get rid of the mirror, the body custard, and the Oxytrol. I will use the pen, keep the car charger and mini flashlight in my car, and keep the mini notebook by the phone to take down messages. The tote bag is going into the pile that I use for grocery shopping and errands. Moral of the story: if you want to spend money giving away tchotchkes to clients or potential clients, make sure it's not something they will look at, make a face at, and toss. Go for useful. And women like a lot of the same things men do, like device chargers. Lastly, never, ever give out body custard, luxe or not.